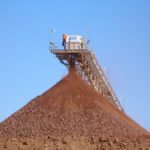 Regis Resources has hit record annual production at the Duketon gold mine in Western Australia during the 2018 financial year. 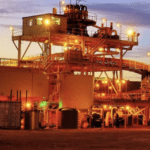 The ASX-listed miner produced 361,373 ounces (oz) at the Goldfields operation, securely putting it at the upper end of the annual production guidance of 335,000–365,000oz. Regis also reached a quarter-end record cash and bullion position of $208.8 million by June 2018 – an increase of $40.9 million from the $167.9 million in the previous quarter. This was achieved despite a rise in its processing costs, from $855/oz in the second quarter of financial year 2018 to $906/oz in the third quarter of financial year 2018. Regis executive chairman Mark Clark said it was pleasing to end the year with another strong operational quarter at Duketon. “Record annual gold production of 361,373oz and record quarter-end cash and bullion holdings of $208.8 million are a testament to the quality of the Duketon operations and the team that manage them,” Clark said. Its June quarterly production also hiked up to 92,008oz, an 8 per cent increase from 85,331oz in the March quarter. The Duketon Northern Operations (DNO) produced 22,724oz of gold, down 21 per cent from the previous quarter. Meanwhile, Duketon Southern Operations (DSO) produced 62,607oz of gold, which was virtually in line with its previous quarter’s production.